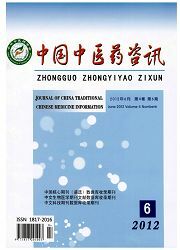 Epidemiological Analysis of the Japanese B Encephalitis In Zhoukou During 2005-2009. 摘要 目的：了解周口市2005~2009年流行性乙型脑炎流行情况，为乙脑预防控制提供流行病学依据．方法：对2005~2009年疫情信息监测管理系统的监测资料及个案调查资料进行分析。结果：2005~2009年周口市共报告乙脑病例240例，年均发病率为0．44／10万；报告死亡5例，年平均死亡率为0．01／10万．男女发病之比为2．04：1，15岁以下病例占97．50％，10个县（市、区）均有发病；流行季节为5～10月，高峰在7、8月。结论：周口市2005~2009年乙脑报告发病率呈波动性下降，表明乙脑预防控制取得了显著成效。 Objective ：To understand Ihe epidemic situation of Japanese B Encephalitis （JE）in Zhoukou during 2005-2009 and provide the ~cientific basis for controlling JE in the future. Methods：Analysis was made on the data collected from the prevalence surveillance syslem and the individual investigation during 2005-2009.results：240 cases of encephalitis B were reported with an average morbidity of 0.44/100000; 5 death cases were reported with an average mortality of 0.01/100000;The ratio of male and female patients was 2.04：1 ;97.50%0f the cases were under the age of 15 ; all of the 10 counties （cities, district）had repotted cases ,the prevalence season was between May and October with the peak in July and August;Conclusion：The results reveal thai the reported incidence of JE has volatility d~reased and suggesl that the effectiveness of the prevention and control has achieved enormous Success. 6李成华 ,谭徽 ,张群力 ,凡秀吉 ,黄民主 ,陈伟 ,谭梅娟 .湖南省安仁县32年流行性乙型脑炎流行特征的研究[J].实用预防医学,2005,12(2):293-295.